I'd like to start off with a big hearty HAPPY NEW YEAR to all my viewers/readers of this crazy little blog. Nothing too exciting to start the new year off with, well nothing I can post about. Top secret things happening with in the LBC for sure. I've been sensing some trouble coming from the rear wheel hub since I had the puncture Returning from LBC Ride: Boxing Day Beano. 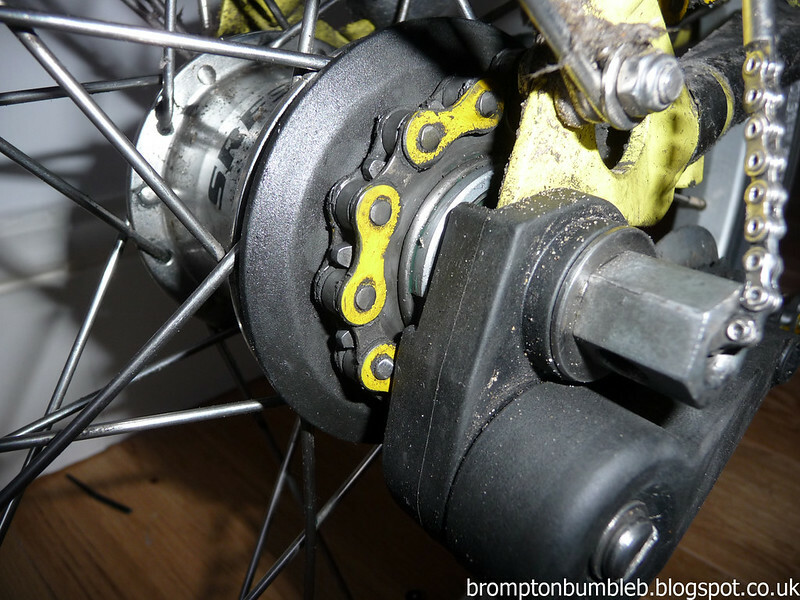 I knew at some point I would be needing to take apart the rear gear hub and giving it a good cleaning and re-greasing just like I did with the front wheel last week but was hoping to wait till the LBC Maintenance session planned in 17th February. I tried to undo the rear hub but without the proper tools it was near impossible. I thought it best to make sure I got the right tools and people that know what they are doing when I do actually do it so Bumble B will be done properly. I got as much grease in as I could without taking it apart and seems to be running smoother than it was before. I'll still keep an eye on it and hopefully it can wait till the LBC Maintenance session or atleast till I get the right tools for the job. Once I've seen someone do it in person I would be able to do it no problems. Have been looking at loads but with me I still like to see someone do things in person so I can see exactly how they do it, what tools, ask questions etc. With videos you sometimes miss the small things that people automatically do without saying or realising they doing it.